coupled with mild spices and freshly made tamarind sauce or chutney that is sweet and sour in taste. A simple yet satisfying snack to soothe those untimely cravings. A low-fat alternative, the fresh flavors of corn, onion, raw mango, coriander, and tamarind will get you hooked! With this instant homemade version of sweet corn bhel, you will have no reason to hit the food stalls. Enjoy the great taste right in the comfort of your home. 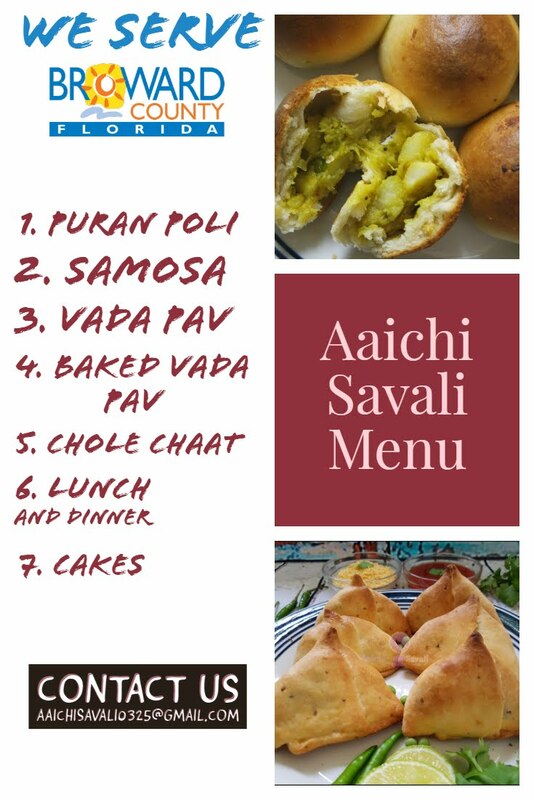 This Indian street food recipe can be served as a snack or starter or appetizer. pieces, salt and turmeric powder. Place pan into the instant pot and close the lid with the vent on sealing position. Cook on high-pressure manual mode for 3 minutes and followed by NPR. 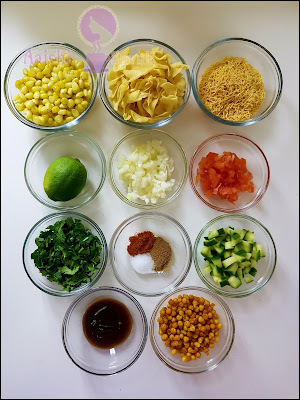 In a mixing bowl combine, boiled sweet corns, chopped onion, tomatoes, raw mango, red chili powder, Chaat Masala, tamarind sauce, salt, lemon juice, coriander leaves, papdi, sev, and boondi. 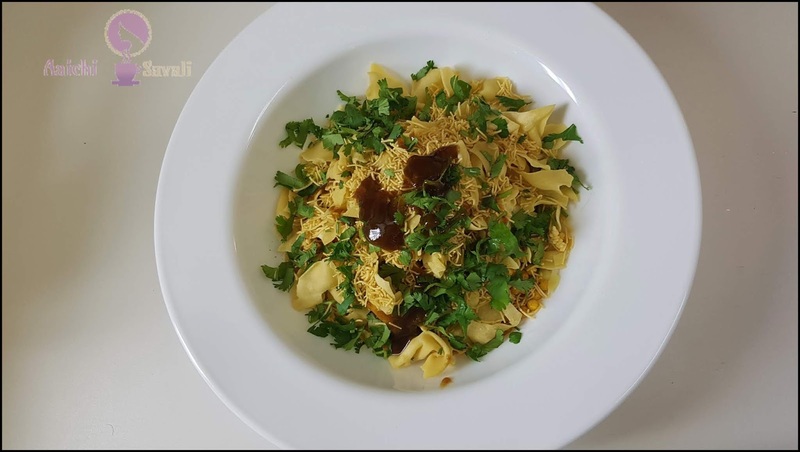 Sprinkle more chaat masala on top and serve right away, preferably with tea. Enjoy!!! 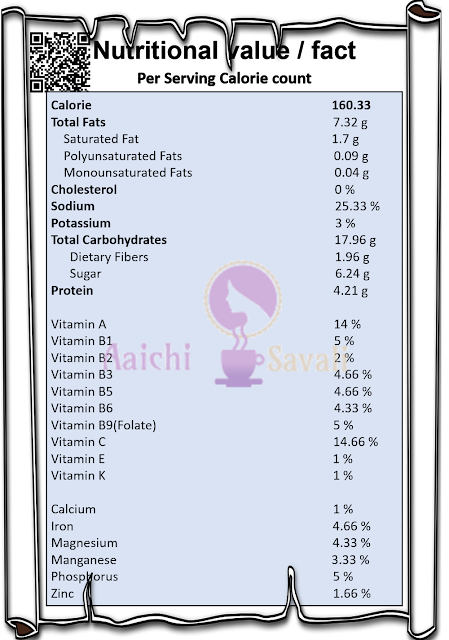 Excellent source of fiber - sweet corn is a rich source of fiber, which is good for digestive health. Protein - Sweet corn has a right amount of protein for a vegetable. It functions to repair cells, build muscles and boost the immune system. 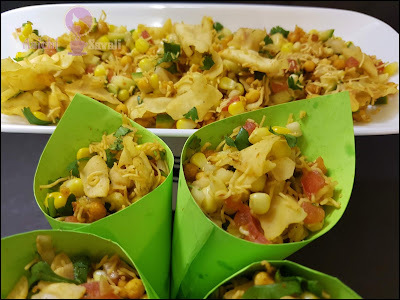 It's good to eat corn bhel or corn chaat as an evening snack.